Electrocoating (or E-coat finishing) and plating are two of the common metal finishing processes included in the broad term of electrophoretic deposition (EPD). EPD includes processes such as cathodic electrodeposition, anodic electrodeposition (anodising), and electrophoretic coating and painting. E-coating and plating are essentially methods of painting which use electrical current to deposit paint and works on the principal of “opposites attract”. Any particles that can be used to form stable suspension and that can carry an electrical charge can be used in electrophoretic deposition (EPD). 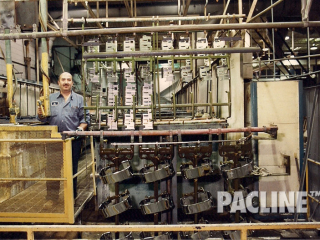 This includes materials such as polymers, pigments, dyes, ceramics and metals. 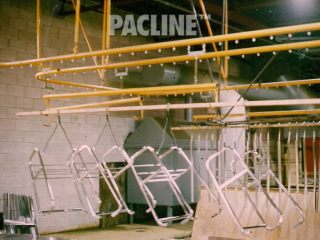 This process can be used to apply paint and coating materials to any electrically conducive surface. 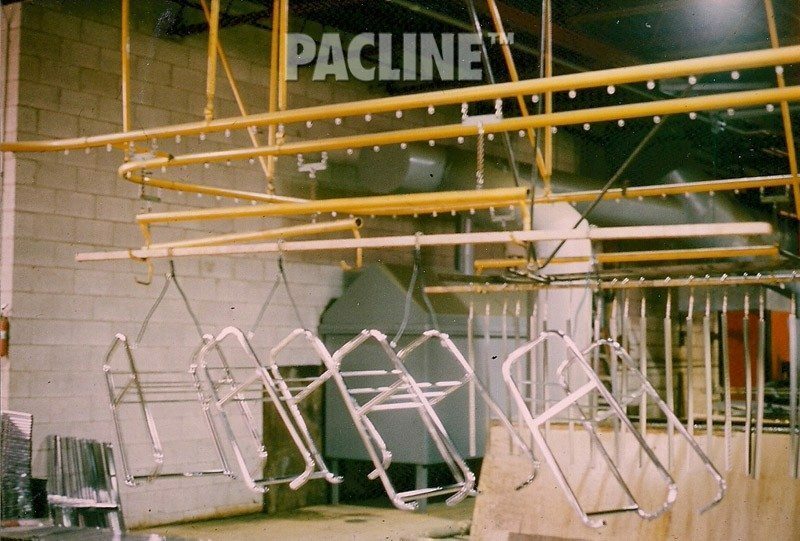 PACLINE’s overhead conveyors have been used to automate many e-coating and electroplating operations handling a wide range of products through all stages of the process from the pretreatment, dip tank application, rinses and final curing. Custom racking and hangers have been developed for our conveyors to transport items such as automotive parts, electronics, marine and aerospace equipment, hardware, architectural trim, decorative ornaments and metal furniture. Can the conveyor be configured efficiently to conserve space throughout the system including dip tanks and ovens? Can the components withstand the harsh chemicals used in the wash and pre-treatment stages and the high temperatures of the curing ovens? 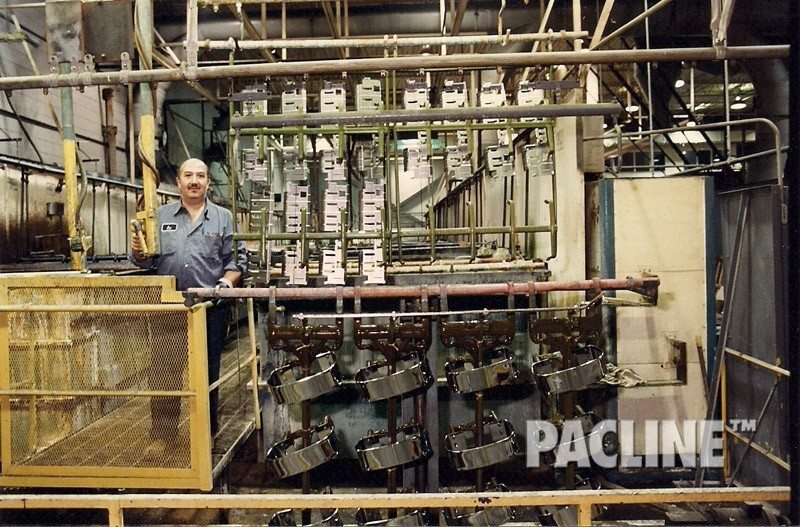 Are there special features such as enclosed track to reduce maintenance requirements? 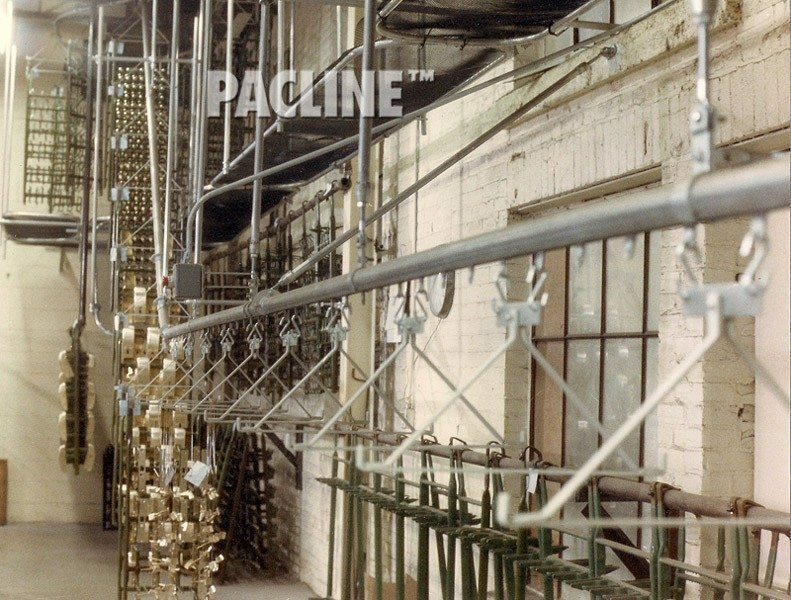 What are the options for racking and hanging your particular items on the conveyor?